As we all know, the Blu-Ray player remote talks to the player through IR (infrared) signals. These features send data in two directions from the Blu-ray player to the remote and vice versa. Video, Audio, text, and player commands can be sent. So it seems everyone likes the “remote control” idea. For with the Blu ray player remote, you can control your Blu-ray player, TV, DVD or set top box, audio system, air conditioning, media player and many more. In this article, we will show you some popular universal Blu-ray player remotes and a few smartphones with an IR Blaster as remote control for Blu ray player. How to rip a Blu-ray movie to PC when users can’t play the movie because of the missing of the remote? Are you sick of fumbling around trying to locate the different remotes for every piece single of gear in your home theater arsenal? Why not get universal remotes that are perfect for reducing both the number of remotes you need to work your various devices and the clutter on your coffee table? For this guide, we’ll be showing you some good Blu-ray player remotes, which allow you to pair devices in a relatively quick and painless manner. 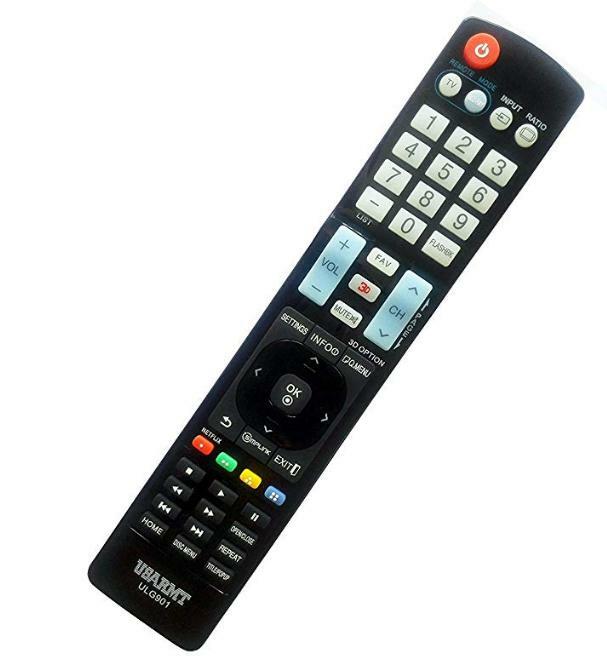 The LG DVD Universal Remote Control ( Model No: ULG901 ) is able to help you replace a broken or lost remote control or combine more than one remote control into one, for it has both TV mode and Blu-RAY mode. It operates the common features of most but not all models of LG TV and Blu-Ray Equipment. It is convenient to use. The only thing you have to do is to install batteries before using and press the button “Blu-RAY” in 1 second. You can simplify your life easily with the GE UltraPro 4-Device universal Blu ray remote, for it can control up to 4 different audio/video devices such as Blu-ray player, DVD, DVR, cable, satellite, audio, sound bars and streaming media players. The remote includes a master volume control feature allowing you to control the volume no matter what device you’re operating. The Blu ray remote control requires 2 AAA batteries, which are not included. 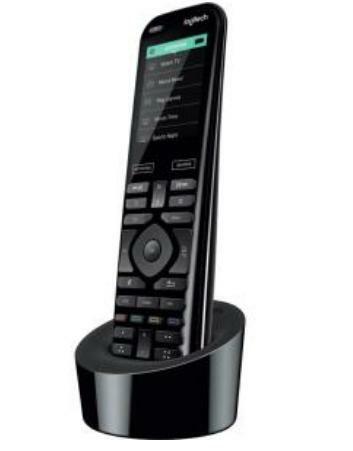 Streamline your home entertainment system with the GE UltraPro 4-Device universal Blu ray remote. The RCA 6-Device Universal Remote is easy to program and easy to use, with a variety of designs and form factors to suit different environments or preferences, which can operate Blu-ray player, TV, satellite, cable or VCR devices, with support for over 325 brands. 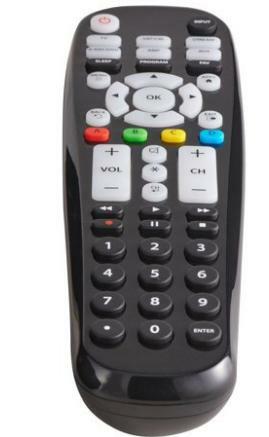 Beside, this universal Blu ray remote is carefully engineered to put keys in the most suitable position for you, making it a comfortable fit for replacing or consolidating original remotes. With this wonderful universal Blu ray remote you can control streaming media players like Apple TV, Roku, and TiVo, popular gaming consoles, as well as CD, DVD, and Blu-ray media players, which works with over 270,000 compatible home entertainment devices from more than 6,000 brands. It has motion-activated, backlit controls to ensure that you can press on the right button every time, even in the dark. Moreover, to change channels, adjust volume, fastforward, or rewind, you can use gestures on the bright 2.4″ touchscreen. 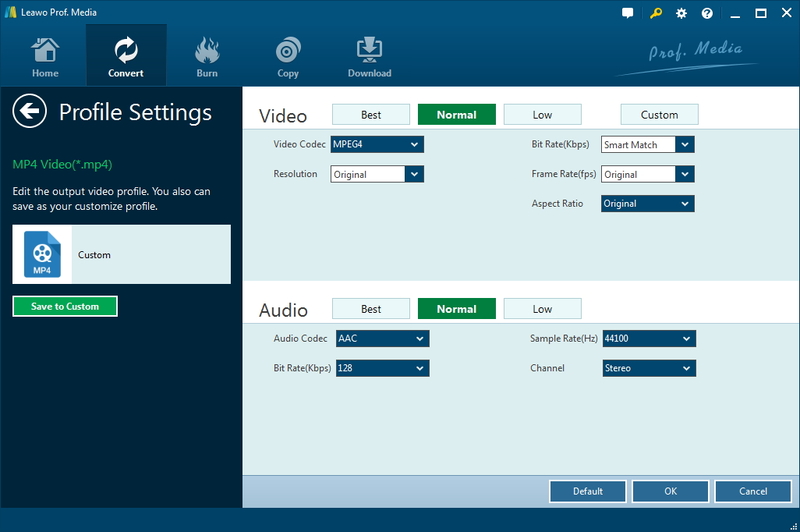 Last but not least, you can customize the dedicated media playback, cable/satellite, and DVR controls to your preferences. This Blu ray player remote, the Blackweb 6, works with Blu-ray players, TVs, DVD or soundbars, DVRs and streaming devices, and it is also compatible with all major electronic brands including Roku and Apple TV for the ultimate convenience. You can connect to almost any device in your home, and you can do it in three short, simple steps! What is more, this sleek black model features large buttons that are easy to see and manipulate. This Blu ray player remote requires 2 AAA batteries (not included) and comes with a 90-day warranty. From a simple Blu-ray player remote to a complex universal remote that commands absolutely everything in your home, these universal Blu-ray player remotes can make your smart home easier to control. If you have a huge collection of Blu-ray movies, it’s essential to have a good Blu-ray ripper to rip the audio and video content into digital formats, or make a safe copy on your PC. Moreover, a Blu-ray ripper would help a lot if you have lost the Blu-ray player remote. However, there are plenty of software in the market, and we cannot tell which one is better. Now you may want the best Blu-ray ripper 2018 that is easy to use, and capable of ripping Blu-rays to latest iPhone, iPad, Android, TVs, etc. in the world that will convert and rip Blu-rays homemade/protected smoothly and easily with good results, you can try Leawo Blu-ray Ripper. 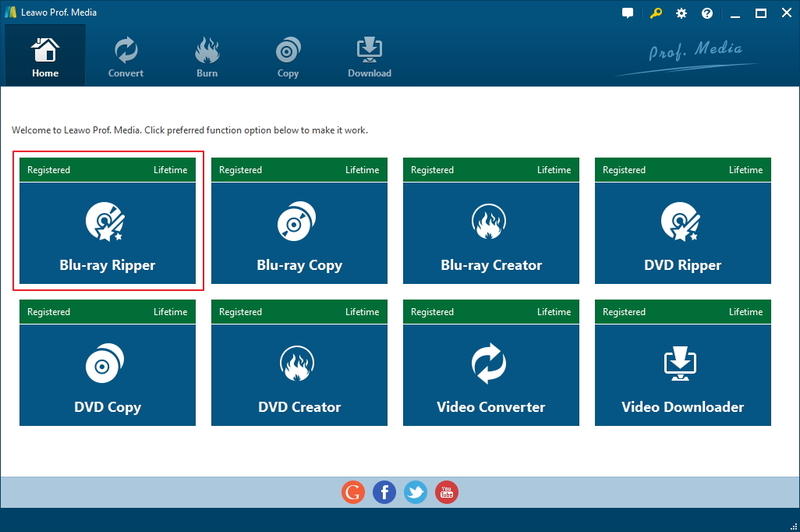 As one of the best Blu-ray ripper software in the globe, Leawo Blu-ray Ripper could rip and convert Blu-ray to video and extract audio off Blu-ray to save in all formats for any media player and device, for it could rip and convert Blu-ray/DVD to MP4, Blu-ray/DVD to MKV, Blu-ray/DVD to AVI, Blu-ray/DVD to WMV, etc.. What’s more, this Blu-ray DVD ripper software could rip and convert Blu-ray/DVD to 4K video, 1080P video, 720P video and regular video so as to let you fully enjoy Blu-ray/DVD disc on 4K TV, 1080P displays, or mobile devices. Keep reading to know how to rip a Blu-ray movie to PC when you can’t play the movie because of the missing of the remote. 1. Launch the Leawo Blu-ray Ripper to enter the home page, and click “Convert” on the sub-menu. Custom Mode to freely choose titles. 3. 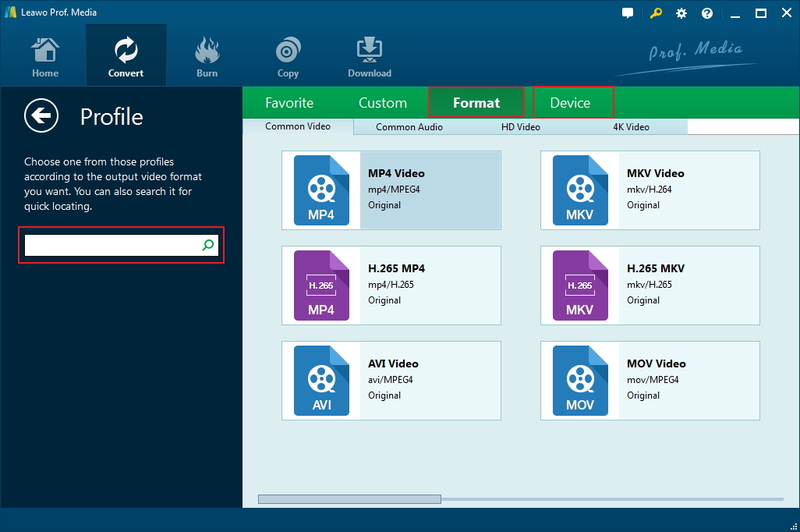 Choose output profile by clicking “MP4 Video” >”Change”> “Profile”, you can choose either video/audio format or mobile device as output profile under “Format” or “Device” group. There are also various video/audio formats and device models available for you to choose from. Select MP4 to convert Blu-ray to MP4 so that you can play the movie on Apple TV, PS4, or on your phone. The program also provides a lossless MKV format that enables you to rip Blu-ray to lossless MKV. Select the lossless MKV profile by going to Format>Lossless Video selecting “Mult-track MKV”. 4. Set video and audio parameters by clicking “MP4 Video” >”Edit”. 5. After returning to the converting panel, and click the green “Convert” to set output directory for saving the output files. 6. In the end, click the “Convert” at the bottom of sidebar to start conversion process. Then after converting, you can enjoy Blu-ray movie in your PC. Here’s Leawo Blu-ray Ripper’s video guide to show you how to rip a Blu-ray movie. Maybe lots of people have Blu ray player remote at home, and they also have trouble, for they have got multiple remote controls that they have accumulated by adding accessories like DVD players, receivers, surround sound systems and others. So, it’s perhaps no surprise that people are looking for smartphones with an IR Blaster. Generally, a phone with an IR blaster can double as a universal remote, allowing you to control various electronic devices in your home, such as a Blu ray player, a TV… In addition, this will also help you in case you have lost or misplaced a Blu ray player remote for your Blu-ray player or any other device. If you really want a smartphone as Blu ray remote control, we’ve got you covered. To get a Blu ray remote control, ProHuawei P20 Pro is the smart choice. 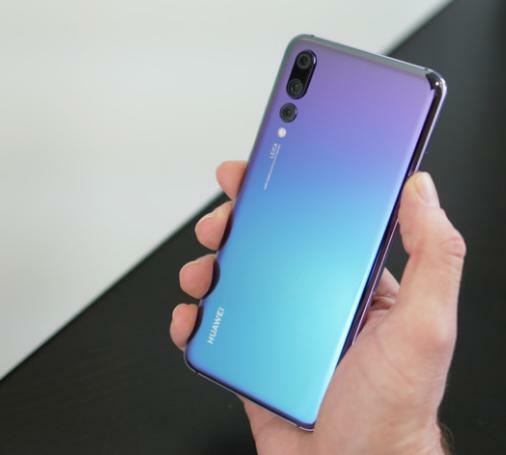 Comes with a 6.1-inch Full HD+ display, a massive 4,000mAh battery, and, of course, an IR blaster, the Huawei P20 looks and feels stunning due to its metal and glass construction and thin bezels. What is more, it supports facial recognition, although the front-mounted fingerprint scanner is a much safer option. Last but not least, it is IP67 rated for protection against water and dust, and comes with 128GB of storage. Why not try this universal Blu ray remote? 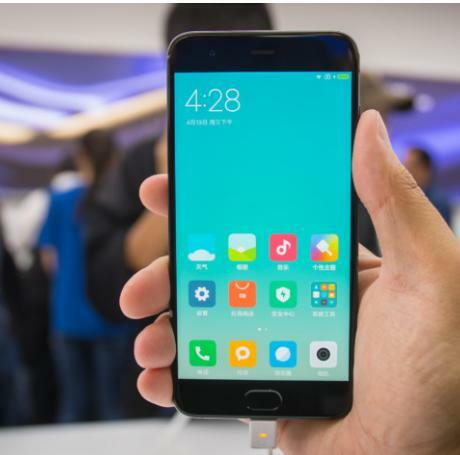 Xiaomi Mi 6 is a budget offering by Chinese smartphone maker Xiaomi. The IR blaster-equipped Mi 6 has a very modern and stylish design, which comes with a 5.15-inch Full HD display, the Snapdragon 835 chipset, and 4 or 6GB of RAM. Though it is not fully waterproof, it is splash resistant, and can play the role of universal remote for Blu ray player well. Moreover, it offers dual stereo speakers, two rear cameras, and a 3,350mAh battery. Guy and get more surprise. 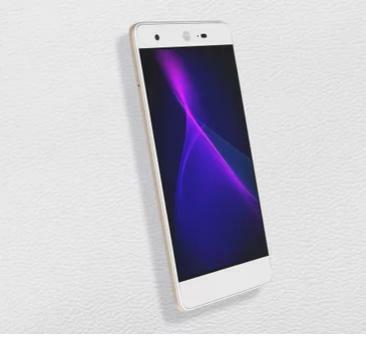 Sharp Z2 features a 5.5-inch screen and a 16-megapixel rear camera, an IR blaster, as well as a dual-core processor and 32GB of onboard storage. However, the handset’s 4G functionality cannot work in the U.S. Therefore, you have to run it on 3G via AT&T and T-Mobile networks. It can also work well as a remote control for Blu ray player. After knowing some smartphones as universal remote for Blu ray player, wherever you are in your home, you can control your Blu-ray player with a tap or flick of a finger over your phone.